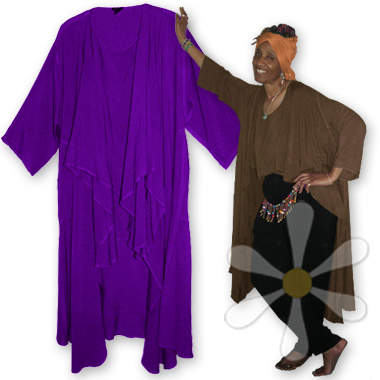 A bestseller for its sensational versatility, this authentic global piece evokes traditional North African garments, transforming into just about anything you want it to be: tunic, robe, caftan, kimono, thobe, duster... It's a centuries-old design updated by Laise Adzer for the contemporary woman with every bit of her magic! You're a goddess, live like one, every day. Why not?